You've got your heart set on adventure, but your budget is modest. What are you to do? Get yourself behind the wheel of the 2019 Jeep Cherokee Latitude Plus for sale in Glen Carbon, IL of course. This small crossover has plenty of style, some legitimate off-road capabilities, and a well-appointed interior, all at a reasonable price. If this sounds like the ideal adventure machine for you, come visit us at Cassens and Sons Chrysler Dodge Jeep Ram today. We have a large 2019 Jeep Cherokee Latitude Plus inventory near Belleville, IL and our passionate salespeople are happy to answer any question you might have. We'll get you behind the wheel to test drive a 2019 Jeep Cherokee Latitude Plus near Belleville, IL so you know exactly what this crossover offers. We're located in Glen Carbon, IL and have served adventurers from the surrounding areas near Belleville and Edwardsville, IL and even some near Florissant, MO. 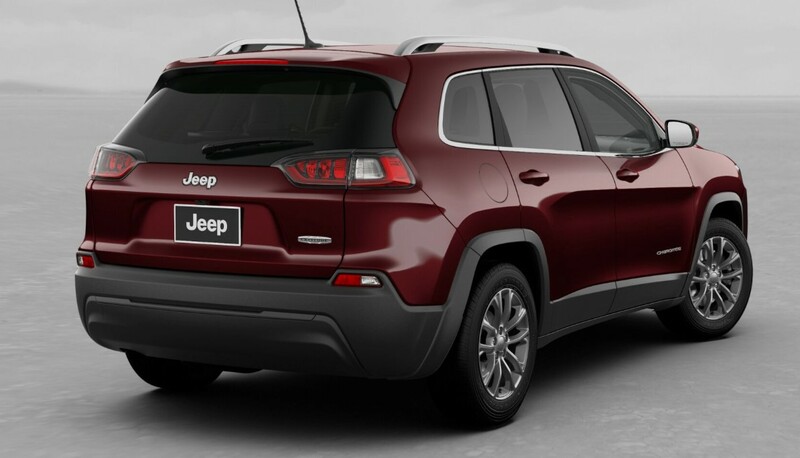 The 2019 Jeep Cherokee Latitude Plus in Glen Carbon, IL is an attractive little thing thanks to its sleek aerodynamic design mixed with traditional Jeep styling cues such as a seven-slot grille and pumped up, rectangular fenders. The Latitude Plus even features stunning 17-inch satin carbon aluminum wheels. The interior is a great place to spend some time thanks to the vinyl seats with premium cloth inserts and the leather-wrapped steering wheel. The 2019 Jeep Cherokee Latitude Plus offers seating for five people, and folding rear seats with a hidden load floor that allows you to carry tons of cargo when needed. 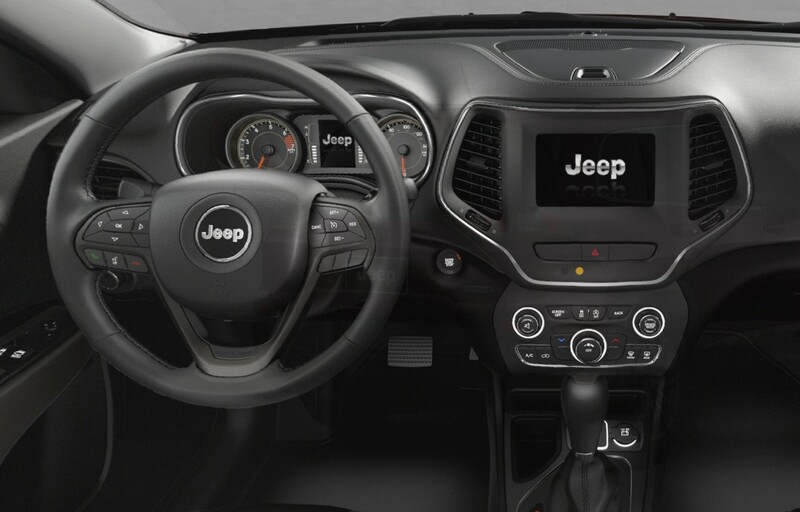 In terms of technology, the Cherokee Latitude Plus has you well covered in the form of Jeep's Uconnect® 4 infotainment system. Using the large 7-inch touchscreen display you'll have access to lots of features including Bluetooth® capability, voice command with Siri®, and smartphone integration through Apple CarPlay® and Android Auto™. 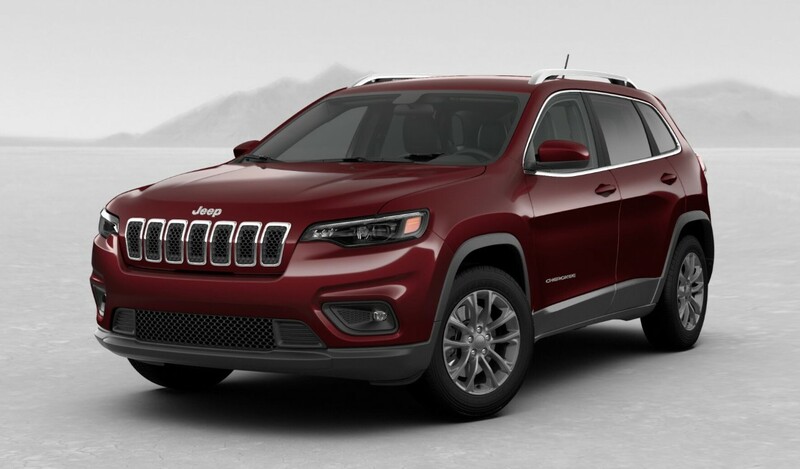 The Cherokee offers three impressive options to match your needs. The standard engine is a 2.4-liter Tigershark® four-cylinder engine that produces 184 horsepower and 171 lb-ft of torque. If you need more power you can choose the 3.2-liter Pentastar® V6 engine the offers 271 horsepower and 239 lb-ft of torque. For the best balance of power and efficiency, there is the new 2.0-liter turbocharged four-cylinder engine that makes 270 horsepower and 295 lb-ft of torque. Regardless of the engine you choose, it will be connected to Jeep's advanced nine-speed automatic transmission. Providing the Cherokee with its off-road chops is the Jeep Active Drive I 4x4 system that will shuffle power between all four wheels and features an automatic rear axle disconnect to help improve fuel economy when you're cruising. Test drive today here at Cassens and Sons Chrysler Dodge Jeep Ram near Belleville, IL and Edwardsville, IL.